In life, there is nothing more joyful than the birth of a child, a moment in time to be cherished forever. However, for some unfortunate parents, that moment can turn terrifying and immeasurably devastating if there is a birth injury such as physical trauma or hypoxic/anoxic brain damage. After the initial shock has passed, these parents face a lifetime of physical, occupational, cognitive, and speech therapies for their child, as well as potential surgeries, tests, and endless doctor visits. How do parents plan for and manage the enormous expenses that come with this care. A Life Care Plan is instrumental — this legal document serves as a blueprint for parents by outlining present and future care that will be required for their child, as well as the expenses associated with it. Doctors, nurses, and certified life care planners collaborate and lend their knowledge and expertise to write the Life Care Plan that is personalized to the child’s medical condition. The life care planner will study the child’s medical records, meet with the child and parents at their home, and speak to the child’s physicians, therapists, and other health care professionals to help determine the appropriate care for the child for the future, as well as expenses that need to be budgeted. This individualized plan will take into account whether the child’s injury affects just one part of the body, or if there are severe physical, mental, and cognitive disabilities. Where the parents live may also be a factor, as expenses in an urban area such as Baltimore or Washington, D.C. may be higher than a more rural area. Estimated expenses for all of these necessary elements are included in the Life Care Plan, and the life care planner will take into account inflation to ensure that the parents are not inadequately prepared for the inevitable rising health care costs. 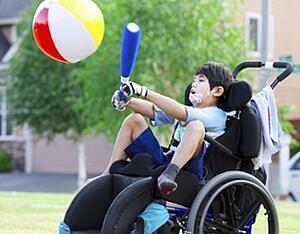 Some Life Care Plans may also include developmental, physical, and occupational goals for certain therapies. A Life Care Plan may need to be adapted in the future as the child’s needs change, too, and expected expenses will include when the child reaches adulthood and may be on his/her own if medically possible. It’s important that parents choose an attorney who specializes in Life Care Plans and utilizes Certified Life Care Planners to ensure that they are properly protected and prepared.